Unhealthy Obsession with Cars: Is This a Barracuda? 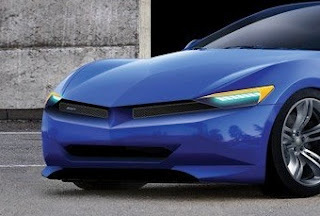 Car and Driver has commissioned an artist's rendering, based on eye-witness accounts and the latest rumors, of what Chrysler's rumored Barracuda sports car might look like. Rumors have flown of late that Chrysler is working on a new rear-drive platform to be shared with Fiat and will debut a new sports model under the Barracuda name. This may fully replace the current Dodge Challenger or might be a modern rear-drive sports machine the supplement the retro-themed Challenger. Use of the name, previously used on a Plymouth version of the Dodge Challenger, for a more modern rear-drive sports car, might be a bit controversial to purists. However, as a hedge against a rumored lighter, more modern, and more efficient Mustang and Camaro - the Baracuda could be exactly the right choice. The new platform is expected to be modernized and lightened by upwards of 300lbs vs the current Challenger - which has always been significantly bigger than its Ford and Chevrolet competition, due in no small part to being built on Chrysler's only non-truck rear-drive platform, shared with the large Chrysler 300 and Dodge Charger. This will allow the car the meet efficiency mandates, have improved handling, and better match the direction that the other pony cars are heading. It is likely that, given the lack of a Plymouth brand to sell the new Barracuda under, that Chrysler will decide to sell this as a unique SRT branded model (similar to the new SRT Viper that was previously sold as a Dodge). So, what do you think? Is this a worthy successor to the Barracuda name?